I am drawn to forces acting upon matter. 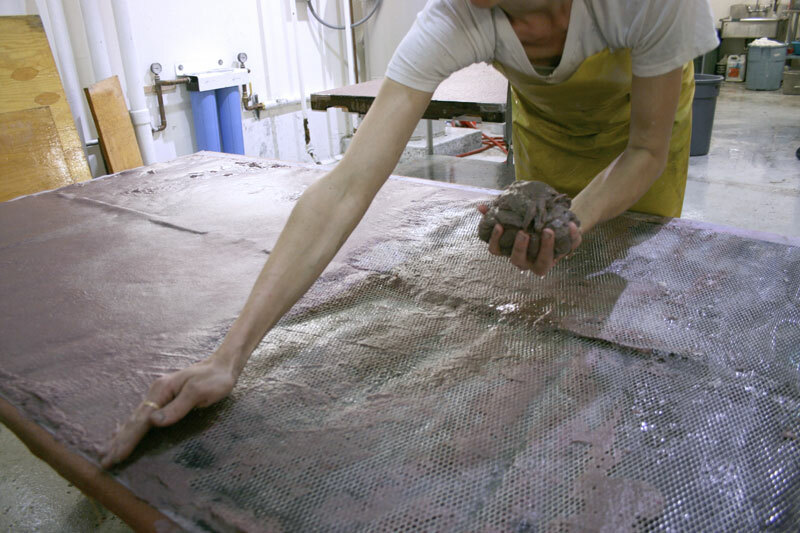 How elements play on materials is the very nature of papermaking and was a fitting extension of my process. 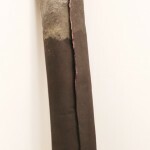 Water controls the way the paper is created and pressure affects how it stays together. 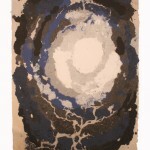 Papermaking has allowed me to let go of control, which has been a game I frequently play as an artist. I found that making paper requires me to stay present. I could have all my ingredients ready but until things happened in the moment, there was no way to determine the results so I had to be open to all possible outcomes. Accidents were welcome. In one of my first efforts, a very thick piece of paper was pressed quickly which caused it to split. 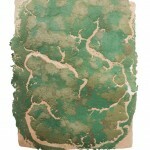 This discovery led me to try similar effects in various pieces, Swamp being one example. 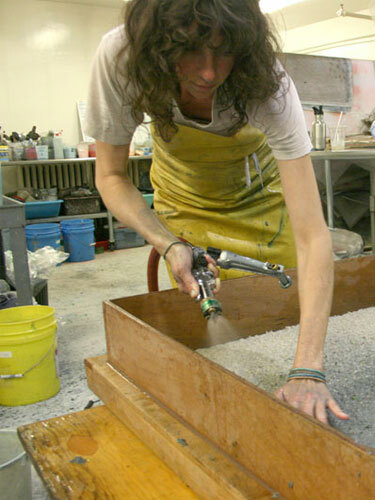 The results of drying were another exciting part of the development of each work. I enjoyed giving up expectations for what may result. 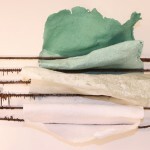 In my work, I re-purpose objects and materials. 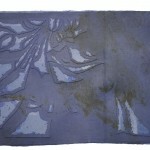 Papermaking provides me many ways to transform discarded everyday materials into new forms. My color palette for the work I made at Dieu Donné was mostly created from leftover pulp from their walk-in refrigerator. It was, for me, another way to collaborate with chance. I also made paper pulp from recycled artwork and detritus from the classroom where I taught. 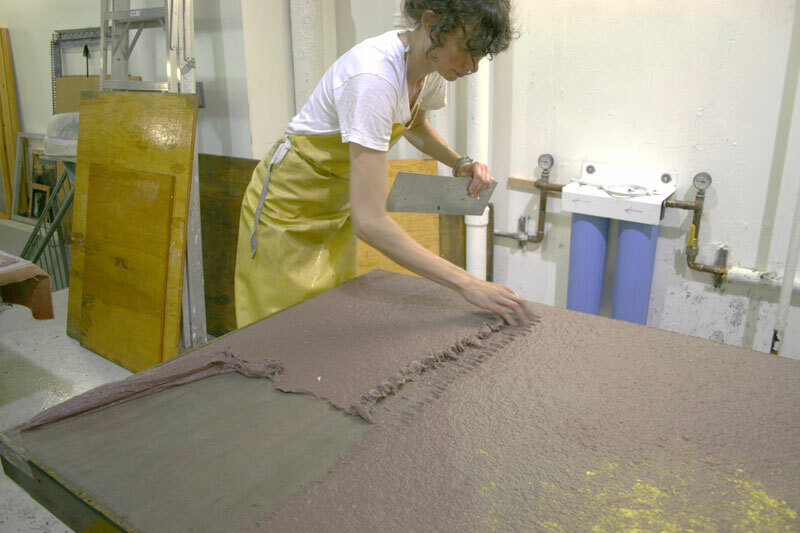 It was wonderful how my collaborator Amy Jacobs did not ban the glitter infused paper or the rusty metal from the wet studio. 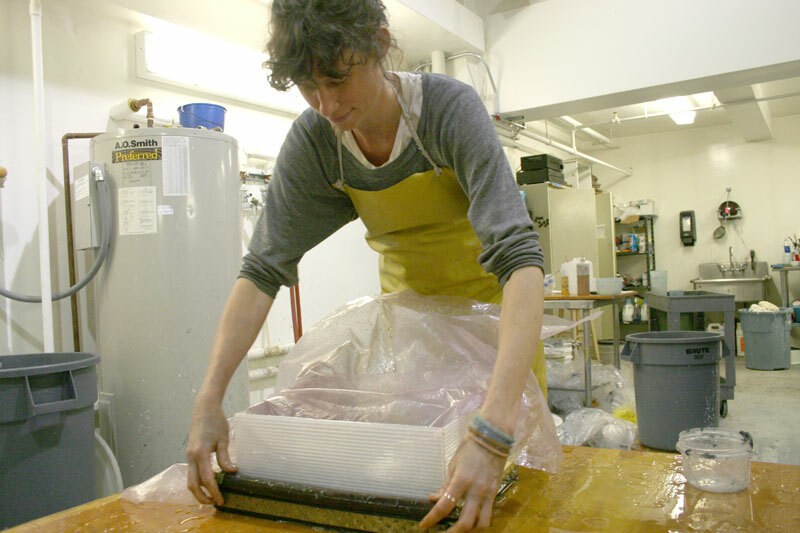 Amy saw the possibilities of experimenting with these unconventional materials in papermaking. Her matched curiosity and enthusiasm was crucial to my Dieu Donné experience. My current life project is traveling for nine months. My Dieu Donné experience extended by connecting me to other papermakers who I am visiting across the country. 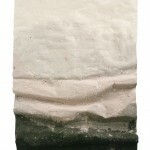 I am also making paper from the natural materials that I collect as I travel. The Workspace residency came to me at just the right time. 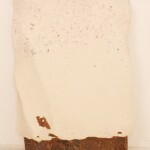 I was hoping to transition out of working with plaster in the hopes of finding a lighter and more ephemeral material that could still work sculpturally. Through the residency I was able to explore how a three-dimensional piece could be made from something flat but still occupy a greater space by how it is manipulated. As I move across the country, my car is equipped with a blender, molds and deckles, felts and pellons. It provides me the ability to make something out of nothing, wherever I am; a way of life that is my deepest desire as an artist. Molly Smith holds an MFA from Columbia University. 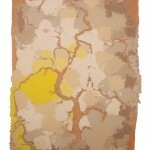 She is represented by Kate Werble Gallery.